At Flightdeck Crewing we are a full service agency. When you engage the services of Flightdeck Crewing you benefit from the experience of our partner company Flightdeck Consulting. Flightdeck offers Temporary Loss of Licence Insurance, underwritten by Lloyds of London, specifically designed to insure pilots flying on CAAC licenses. 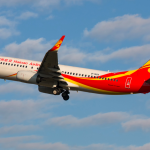 The Temporary Loss of Licence benefit is paid in the event of the withdrawal of the pilots’ CAAC Medical License, irrespective of the pilot holding a valid Medical in another jurisdiction. Flightdeck offers Permanent Loss of Licence Insurance, underwritten by Lloyds of London, to give you peace of mind. This policy provides an insurance benefit in the event that a pilot is deemed permanently unable to fly for at least 5 years. This policy does not have a waiting period. 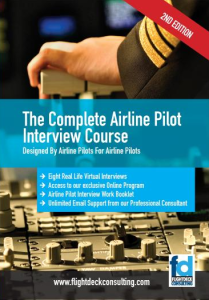 As part of our service you have access to, free of charge, all of Flightdeck Consulting’s interview preparation software, work books and complimentary one on one interview coaching, ensuring you are thoroughly prepared for your assessment process. A one and a half hour interview coaching session. 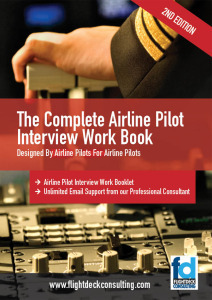 The Airline Pilot Interview Workbook. A Quick Reference Interview Handbook. Email Support from professional airline interview consultants. This is one of the many benefits that sets Flightdeck Crewing apart from other agencies. You will receive a one and a half complimentary interview coaching session conducted by our principal interview coach Sasha Robinson. 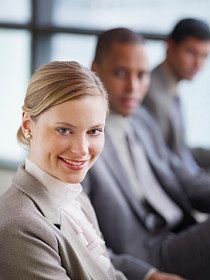 After completing the pilot interview coaching session you will be fully prepared for your pilot interview. You will arrive with the confidence of knowing exactly what to expect and armed with all the necessary tools to answer any question put to you by the interview panel. Our one on one pilot interview coaching sessions can be done from anywhere in the world at anytime via telephone or Skype. Coaching includes interview preparation, Simulator Assessment Guidance, Psychometric Testing information, access to our database of questions currently being asked by your airline, email support from professional airline interview consultants and a detailed written brief for your reference. This software is exclusive to the Flightdeck Group. It consists of eight virtual interviews to help you perfect your interview technique. This software is ideal preparation for any pilot attending a face to face, phone or Skype interview. The Virtual Interview Program simulates precisely a web based interview which will give you the advantage of continual practice and self assessment, combined with our Airline Interview Workbook, to ensure complete and thorough interview preparation. Airlines conduct simulator assessments for a number of reasons. Our simulator assessment guide, tailored to each specific airline will have you fully briefed and prepared for your assessment. The Pilot Aptitude Test contains more than nine hundred theoretical questions in the subjects of science, maths and aviation. Plus eleven psychometric tests that assess and help you improve your skills in spatial awareness, multi-tasking, memory capacity, hand-to-eye coordination and selective attention. The test also offers progress tracking tools that enable you to monitor your performance and online preparation planners that can help you establish a revision strategy. This is a third party product available for purchase via the link below.